Lallemand Health Solutions offers four different types of powders to meet a wide range of formulation needs: API (available as Active Pharmaceutical Ingredient), ground, freeze-dried and freeze-dried with lactose S. boulardii powders. The four S. boulardii powders are concentrated at minimum 20 x 109 CFU/g for 36 months at 25°C. Various delivery forms: capsules, orosoluble sticks, etc. Selected packaging types: Bottles and blisters specifically recommended by LHS for the optimal survival of S. boulardii. Available stability data: Refrigerated conditions, Zone II and Zone Ivb. S. boulardii has been widely studied in humans, with a focus on gut health. S. boulardii has been considered in various reviews and meta-analysis. 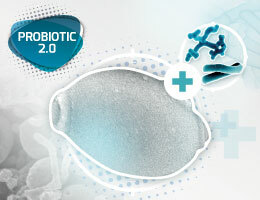 Probiotic 2.0: Giving you the best of both worlds! Two types of microorganisms have been successfully used as probiotic for decades: bacteria, mainly from the Lactobacilli and Bifidobacteria species; and yeast, most particularly Saccharomyces cerevisiae boulardii. Both have different and complementary properties and modes of action to account for their clinical benefits. The benefits of probiotic microorganisms are linked to their properties and metabolic activity in the host. Their modes of action are increasingly well understood. S. boulardii has the ability to specifically bind to opportunistic microorganisms in the gut lumen, in particular to E. coli, forming aggregates that will be easily “flushed” through the gut. Moreover, its ability to inactivate Clostridium difficile is well demonstrated. 2) At the level of the gut wall: the barrier effect. Probiotics are able to communicate with enterocytes and help them preserve their integrity and normal metabolism (trophic effect): this is the case of S. boulardii. In addition, while not able to adhere to the gut lining, the probiotic yeast also shows a positive effect on epithelial cells tight junctions. Probiotic bacteria adhere to the gut epithelium, preventing the adhesion of opportunitic microorganisms through steric hindrance (e.g. L. plantarum HA-119 and B. bifidum HA-132 show strong adhesion capacity to epithelial cells in vitro). Certain bacteria act by competitive exclusion, competing with other microorganisms for nutrients or specific adhesion sites. For example, it has been clearly shown that surface-layer proteins from L. helveticus Rosell®-52 prevent adhesion of E. coli to intestinal cells and improve the gut barrier function altogether. 3) Immune response: beyond the gut surface, the effect of probiotic yeast and bacteria can still participate to the body’s defenses. 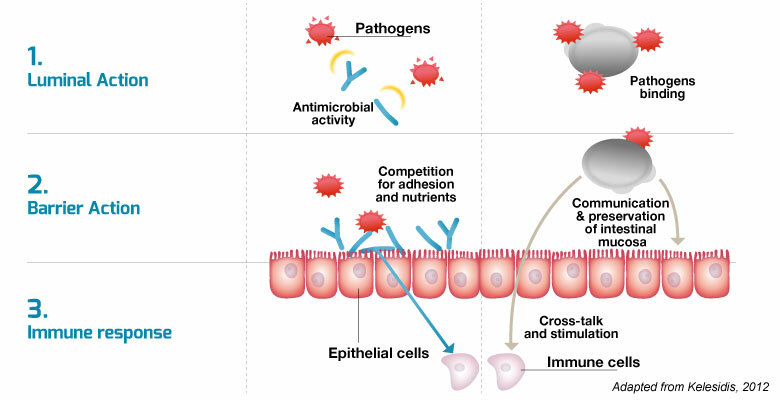 This is the increasingly documented interaction of probiotics with the immune system. For example, S. boulardii is able to influence genes involved in the immune response. L. rhamnosus Rosell®-11, Bifidobacterium longum Rosell®-175 or B. lactis LAFTI® B94 are able to modulate the production of cytokines, the messengers of the immune system. 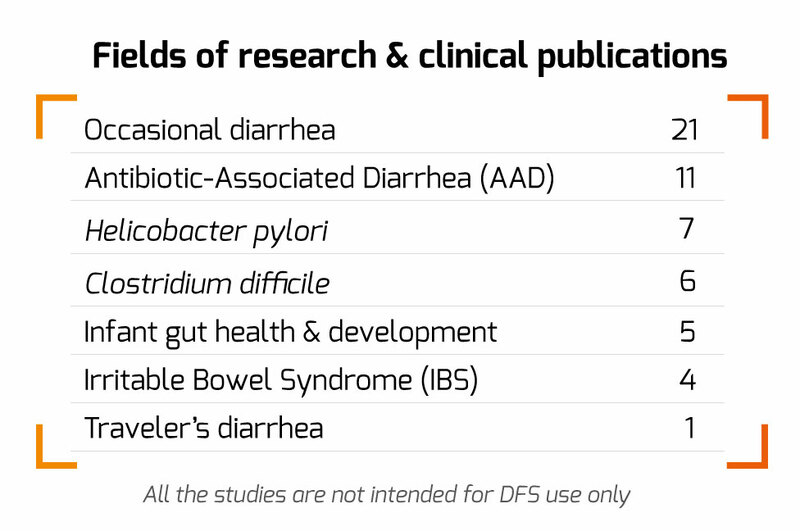 Protecflor® and Oralis SB (marketed as Darolac® in India) both contain Lactobacillus helveticus Rosell®-52 + Lactobacillus rhamnosus Rosell®-11 + Bifidobacterium longum Rosell®-175 + S. boulardii; in different ratios and concentrations (5B CFU and 1.25B CFU respectively).